Times have changed and increasingly, women are making a concerted choice and pushing child-bearing onto the backburner, and are focusing on their careers. The corporate world can be very unforgiving in the way it makes demands on women, in terms of the time and effort they are required to put into their work- this is now causing an increasing number of women to postpone their baby plans well into their 30’s. At a cursory glance, this doesn’t seem like a significant shakeup. A woman who would have typically had a child in her late 20’s will now have a child while she is in her 30’s. But the fact is that even as she focuses on her career and pushes ahead motherhood, her biological clock continues to tick; with increasing age, there is also a drop in her ovarian reserve and that drastically reduces her chances of getting pregnant when she finally decides the time is right to have a baby. This can be a huge price to pay. Fortunately, now women don’t have to be torn between their desire to pursue a career and to have a baby. Opting for IVF can help them have the baby they want, when they want it, without having to stress over whether they are missing out on building a successful career. At our clinic we have treated several patients who were in their late 30’s, many of whom didn’t realize that while they focused on their career, their eggs reserve were dipping too. Similarly, we also treat a lot of career women who have made a very well-informed decision about deferring motherhood. 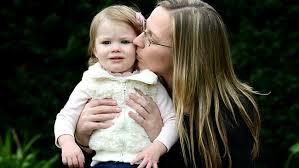 They have made a conscious choice in opting for IVF. In fact, many of them may have gone ahead with furthering their career prospects, comfortable in the fact that they will be able to have the baby they want, even later in life. Delaying motherhood can actually be a smart decision. It’s a proven fact that older women make better mothers, because they are more mature and financially more stable too. This gives them the opportunity to provide for their child in a much better way. They are making a well-informed choice. While this may be unconventional , these are professionals who know their own mind and are used to making their own decisions ! I would like to take this one step further and state that IVF should actually be the first choice of couples who want to have a baby later in life. It’s a proven treatment with success rates that are higher than that of any other infertility treatment. Today, egg freezing is another option that a number of women are considering. In this procedure, the woman’s oocytes are cryopreserved when she is in her 20s or early 30s, to be used at a later stage when she is ready to start her family. This particular technology has been around for a very long time; however it evolved in a big way only in 2009 when the process of vitrification was introduced. Now, the success rates of IVF using frozen eggs are in-line with IVF using fresh eggs. This option allows women to have their cake and eat it too ! Global corporations like Google and Facebook have also begun giving their female employees the option of egg-freezing. It helps them retain talent within the organization and the women who opt for it, are able to concentrate on their careers without the sword of infertility hanging above their heads. Some women also opt for egg freezing because they just haven’t found the right partner to have a baby with. Regardless of which way you look at it, IVF and Egg Freezing are procedures that are no less than a boon for all those career women out there who felt that they never had a choice. In the 1950s contraception allowed women to plan their families, so they could decide how many babies to have and when to have them. Now, reproductive technology empowers them even further, so they can make the right life decisions for themselves. Biology is no longer destiny, and women can compete with men on equal terms, without having to worry about their biological clocks ! Want more information ? Please send me your medical details by filling in the form at www.drmalpani.com/free-second-opinion so that I can guide you better !